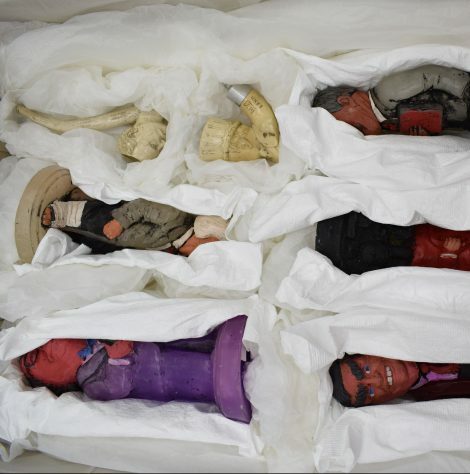 The PHM Conservation Team cares for the museum's wonderful collection and also provides a service of professional conservation for other museums, communities, unions and private collections. 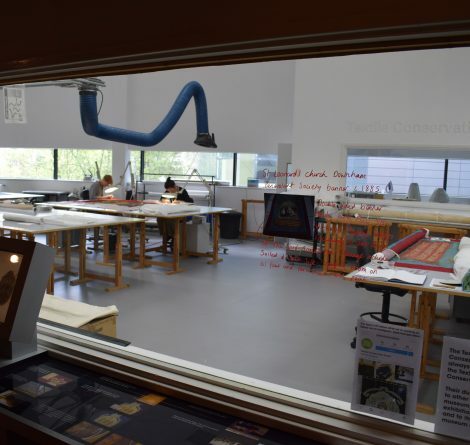 Situated on the second floor, there is a viewing window in Main Gallery Two, designed so that visitors to the museum can see our skilled conservators at work. We also run regular tours for members of the public to come inside for a closer look behind the scenes! 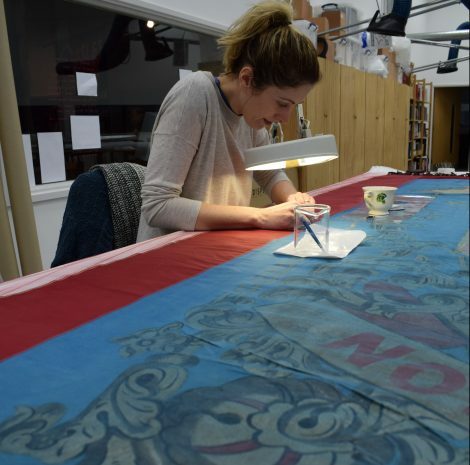 We offer conservation treatments of textiles of all types and sizes and we particularly specialise in large flat textiles such as trade union banners, religious textiles, flags and quilts. 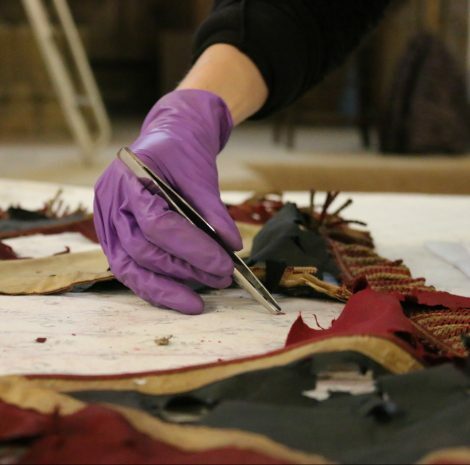 We also offer mounting for display, of flat textiles as well as costume; on-site work in historic interiors, and consultancy work, offering advice on preventive care including storage projects, insect pest management and surveys. Textiles are vulnerable objects as they can be damaged by light, dust, extremes in environmental conditions and even hanging under their own weight when on display. This is why many of the banners in the museum galleries are changed once a year so that we can preserve the objects and exhibit more of our collection. 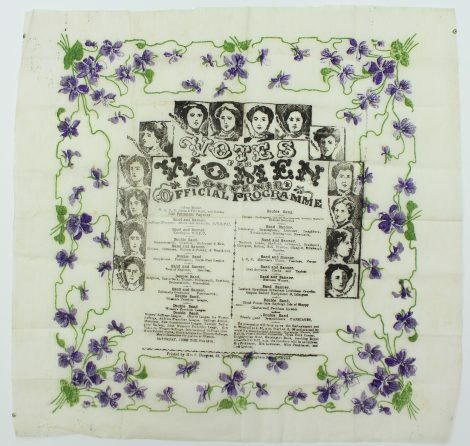 We also have a rich collection of non-textiles such as political posters, protest material and even furniture! 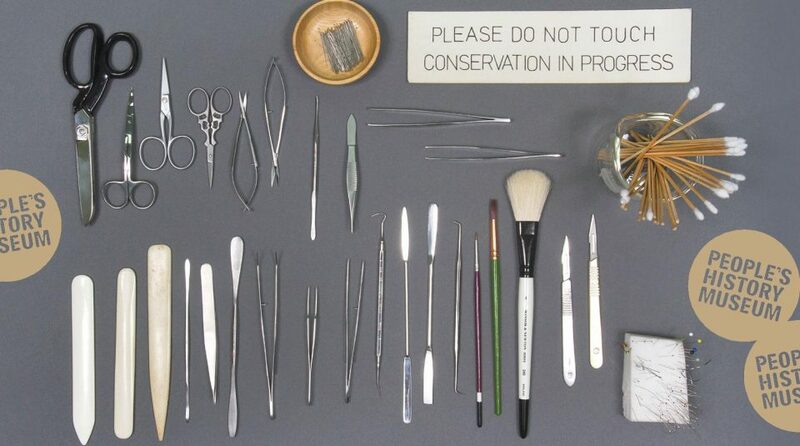 We host conservation placement students as part of their summer studies and we can offer short term general volunteering opportunities within the department, for collections care, management and conservation. If you are interested in working with us please get in touch.